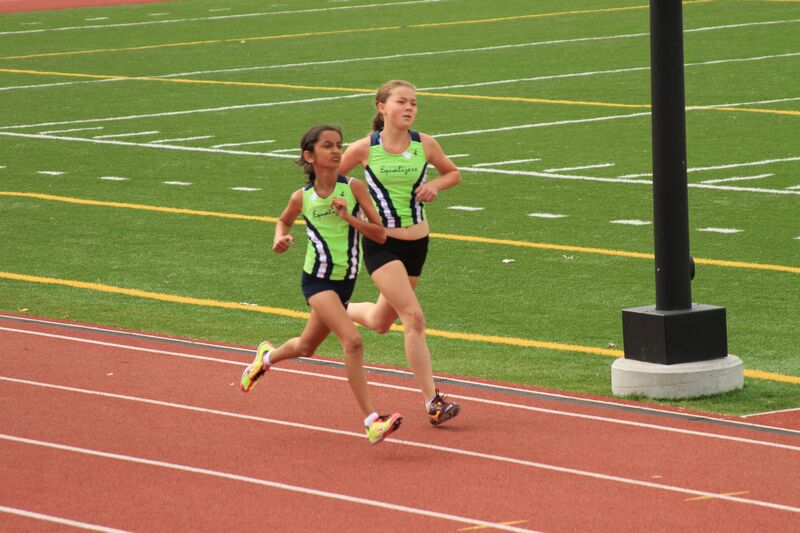 Annika has been busy with her track meets. She has run about 5-6 meets and picked up right where she left off last season. 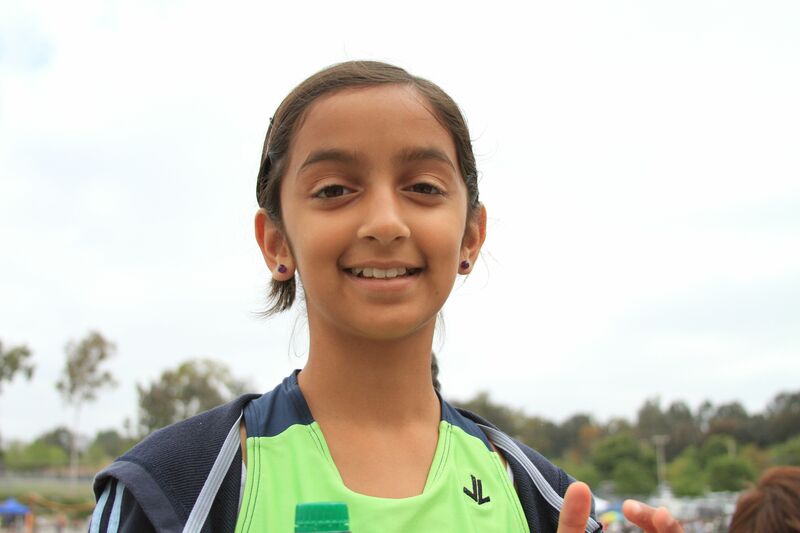 Her specialty is the 1500M and 800M runs. 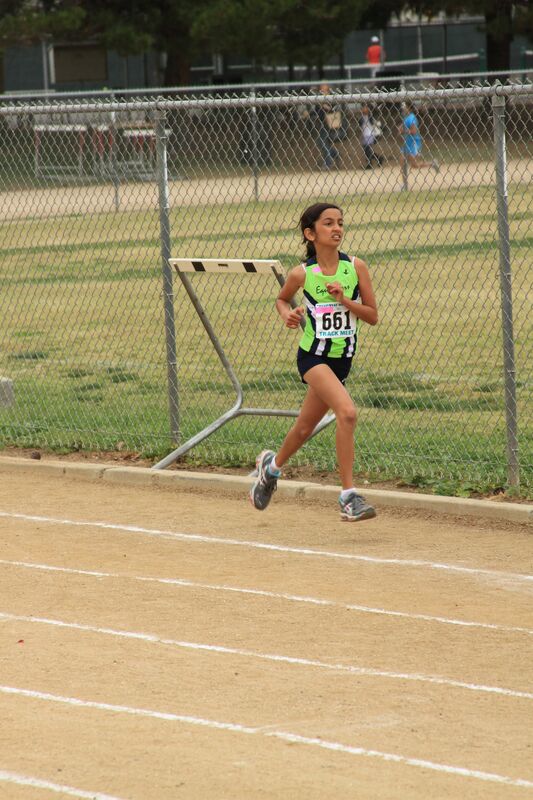 Here she is at the local Tustin Youth meet where she broke 3:00 in the 800M for the first time. 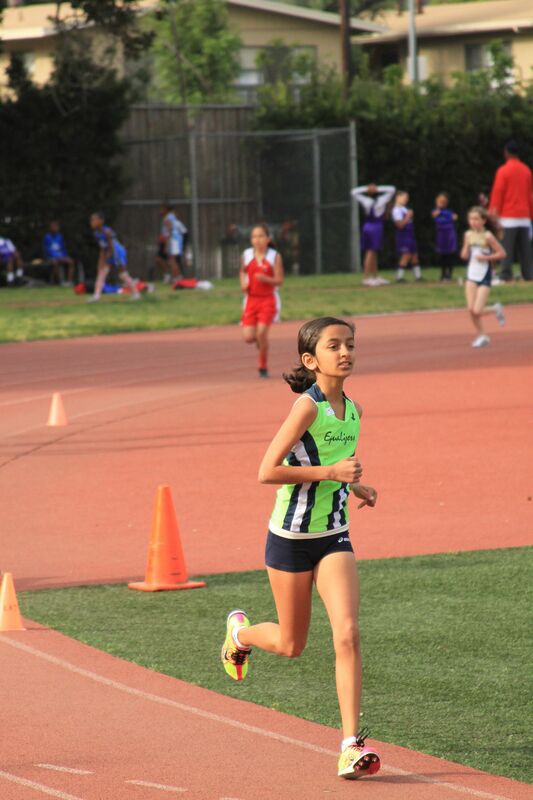 She has since consistently dropped her times to 2:48 in the 800M and a 5:43 in the 1500M. Nikhil had three more meets in the last couple of weeks. 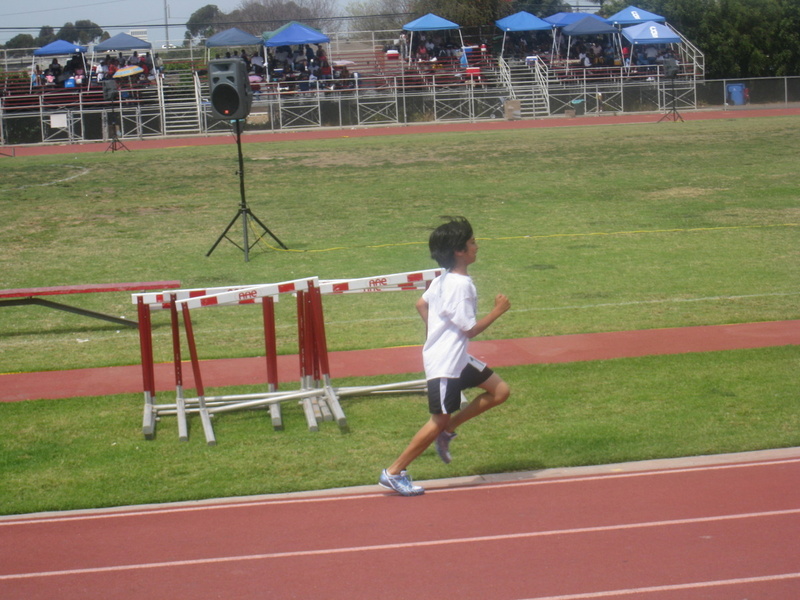 He had a meet last Sunday in Hawthorne (1500M and 800M), one yesterday (400M) and one today (800M and 400M). At the Quiet Fire meet last weekend in Hawthorne, he improved on his times considerably and ran the 1500M in 5:50 and the 800M in 2:55. Both were PR’s. 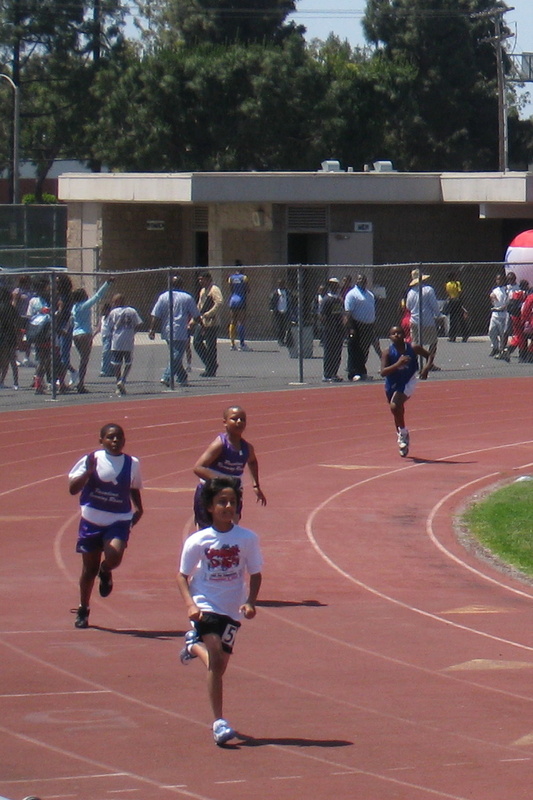 Yesterday, he ran at the Long Beach Sprinters meet in Cerritos and ran a 76 second 400M, another PR. 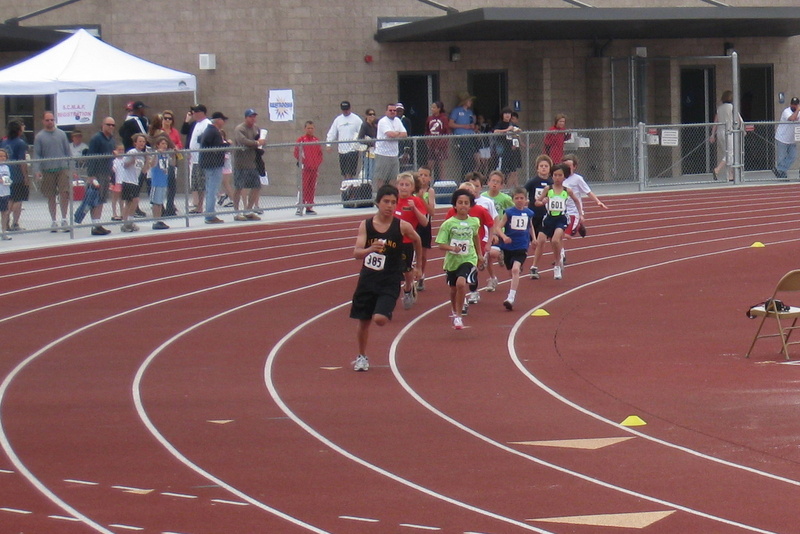 Today, he ran in the SCMAF Orange County finals. The top four finishers in each age group move on to the state meet. 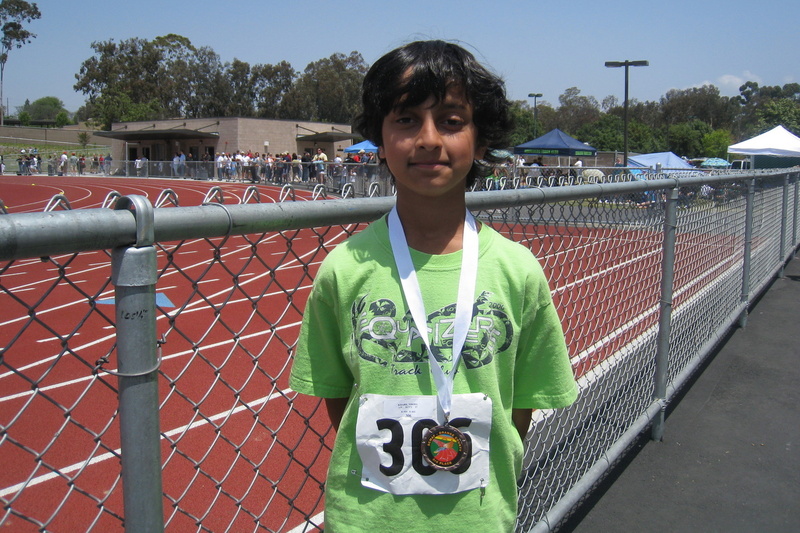 Nikhil improved his 400M time to 75 sec and his 800M time to 2:52. Again both times were PR’s for him. The latter time qualified him to represent Orange County in the state championships in June! Here he is at the start of the race. 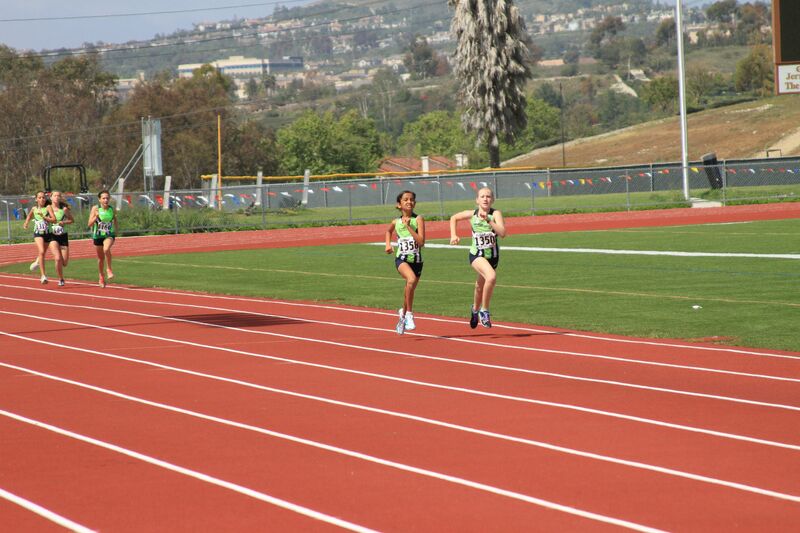 There are now four weeks remaining until the state meet in Downey on June 1. Looks like we’ll be doing a lot more practice between now and then!